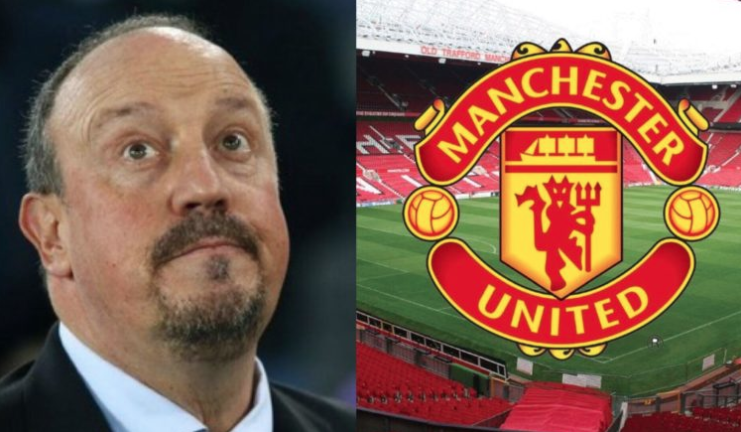 Shock ‘exclusive’ claims NUFC could replace Rafa with Man Utd legend – Pinch of salt alert.. – NUFC blog – Newcastle United blog – NUFC Fixtures, News and Forum. Shock ‘exclusive’ claims NUFC could replace Rafa with Man Utd legend – Pinch of salt alert.. According to an ‘exclusive’ from TEAMtalk, former Man Utd midfielder Michael Carrick is ’emerging as a contender’ to replace Rafa Benitez if the Spaniard leaves this summer. This must be taken with a considerable pinch of salt, with this not only coming from a dubious source in TEAMtalk, but this also being a huge first job for Carrick – who’s only worked as a coach at Man Utd since retiring as a player last year. TEAMtalk understands Newcastle United are making contingency plans for life withoutRafa Benitez, if he decides not to prolong his stay with the club, and one name on their list is a Geordie. Our sources claim Michael Carrick is a emerging as a contender for the top job on Tyneside, should Benitez decide to walk away from the club in the summer. The Spaniard is out-of-contract this summer and owner Mike Ashley has agreed terms on a new contract, and he has told him he wants the deal signed within weeks, and not dragging on beyond the end of the season. Newcastle’s hierarchy, though, will not be caught on the hop and are looking at options, and host of big names are understood to have been canvassed with a lot of positive feedback. However, the chance to bring a hometown boy back to the club he grew up supporting is something they would seriously consider. This seems unlikely to me. Carrick may be a local lad and someone who has a bright future in management, but this would be a huge job for any manager to take on when following Rafa Benitez – never mind someone who has absolutely no experience. I’m taking this one with a huge pinch of salt. Newcastle may be making back up plans incase Benitez does walk this summer, but I can’t see us going down this route. Let’s hope this from Mark Douglas below is true, with fans likely to be infuriated if Carrick is the club’s answer to replacing Rafa – a manager who should be putting all our efforts into keeping. Michael Carrick to #NUFC? @MsiDouglas isn't buying that link.